The Range Rover Velar will soon be unveiled as the most radical-looking Range Rover in history: a mid-sized SUV-coupé designed to lay down the toughest challenge yet to Porsche’s all-conquering Macan and rivals such as the BMW X6 and Mercedes-Benz GLE Coupé. Due for official launch at the Geneva motor show in three weeks’ time, the Velar (whose name means ‘veil’ or ‘cover’ in Italian) will be built alongside the Range Rover Sport and Jaguar F-Pace in the ultra-modern aluminium body and assembly plant in Solihull, West Midlands. JLR insiders are confident that rising demand will drive Land Rover vehicle production to new record levels. Initially dubbed ‘Evoque XL’, the new five-seater is understood to be most closely related under the skin to the Jaguar F-Pace, with which it shares JLR’s IQ platform. 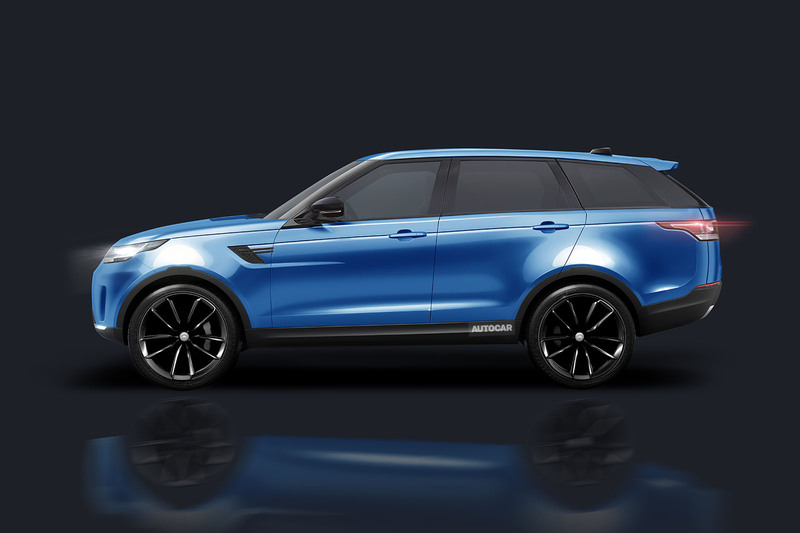 It will be powered by a range of north-south engines rather than the transverse units used in the Halewood-manufactured Evoque. The F-Pace relationship suggests that the Velar will be a little longer (and probably roomier) than the Macan. Every version of the new model will be four-wheel drive. One major point of difference between the Velar and its German rivals is likely to be the interior. Land Rover design boss Gerry McGovern’s team has a track record of designing increasingly high-quality cabins, while simplifying the control and switch layouts, whereas Porsche has a more comprehensive, aircraft-like approach. The Velar’s interior will progress further in areas where McGovern believes his cars already have an edge. The Velar will be powered by JLR’s extensive array of four-cylinder and six-cylinder engines, both diesel and petrol. The four-pot units will be from the established Ingenium range, built at JLR’s recently expanded Wolverhampton engine production facility, about 30 miles north-west of Solihull. Although it is possible the Velar could use the electric powertrain JLR is developing for its upcoming Jaguar I-Pace SUV, it is more likely to feature a hybrid version. Offering a hybrid, especially a plug-in, would cater for buyers who live in the megacities of Europe, Asia and the US, which are getting ever closer to specifying zeroemissions vehicles for their most congested areas. A range-topping highperformance variant could offer outstanding pace, particularly if Land Rover chooses to install its most powerful 542bhp supercharged 5.0-litre V8 engine in the Velar. The aluminium-bodied vehicle could weigh as little as 1800kg. If that target is achieved, it would give the Velar a significant advantage over the BMW X6 and Mercedes GLE Coupé. A V8- equipped Velar could be priced at around £90,000. With the advent of the Velar, there will be four models in the Luxury pillar, two in Leisure and none in Dualpurpose — which rather lays bare JLR bosses’ view that fulfilling the market’s thirst for plush, upmarket SUVs and crossovers is the priority, before the company turns its attention to more utilitarian vehicles such as the Defender. "The most radical-looking Range Rover in history"
What? It looks like ever other Range Rover / Land Rover currently on sale! The rear overhang looks far too long as well. The new Disco looks to have a strange look rear three quarter view as well. I know you get on well with JLR but claiming this to be radical does your reputation no favours at all. The pricing strategy is interesting: we seem to be looking at a Jaguar - Discovery - RangeRover pricing hierarchy. I was going to post exactly the same thing, til I read that the pic is an Autocar rendering. I suspect you are right, but youve gotta wait until you see it first ! Such a claim is risible, a joke. You would think Autocar would know what class it competes in and that the !Macan compete with the X4 GLC Coupe not the X6 GLE. I thought the same too. Is not the RR Sport the X5 rival, which the X6 is the coupe version of, while the Macan competes against the X3/X4 and GLC/GLC Coupe. With the Evoque being similar in size to the X1/Q3/GLA I assume the Velar will compete against the X3 and Macan, as well as its in-house rivals the Discovery Sport and F-Pace. You beat me to it. On what planet does the Macan compete with the X6? Not one round here. It looks more like a Disco Sport (sport - lol) that's reversed into a low bridge. The X6 is more useful for weight comparison, of course.